Finally, new and sleek roads are coming to KPK as well. Asian Development Bank’s Country Director, Warner along with a Senior Transport Specialist, Pawan Wirki met with CM Khattak to discuss the project. CM Khattak revealed that the cost of the entire project would be US $200 million, Asian Development Bank will be providing the financial assistance to see this project through which is slated to begin ground work in January 2017. For the project to begin work on time, CM Khattak directed all authorities to finish all the arrangements in three months times for the rehabilitation project of road networks in KPK. During the meeting CM Khattak was accompanied by Advisor to Chief Minister for C&W Akbar Ayub, Additional Chief Secretary P& D, Secretary C&W, and Managing Director Pakhtunkhwa Highway Authority. Country Director of Asian Development Bank Warner who along with Senior Transport Specialist Pawan Wirki appreciated the development strategy of KPK government and pledged the financial assistance for the projects. 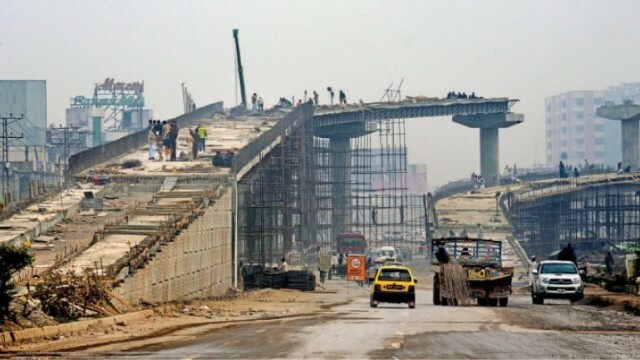 KPK’s various highways totalling around 500 KMs were identified for immediate rehabilitation, and that work will commence on the from January next year whereas the work on the outer ring road, from Chamkani to Budhber will also be done at an estimated cost of 12 billion rupees, an amount which will be financed by ADB. KPK CM said that the improvement in road infrastructure will lead to socio-economic development in the province, and all resources will be utilized in an efficient manner for this purpose. Is it just me or the slope of the ramp in above pic is really too steep and too long?